Formålet med denne artikel er at vise og diskutere, hvordan fortællingsanalyse kan anvendes til besvarelse af historiske problemstillinger. Historikeres brug af fortællingsbegrebet er åbenlyst ikke nogen ny idé, men denne artikel bidrager med konkretiseringen af en række analytiske redskaber, som kan hjælpe udviklingen yderligere på vej. Med afsæt i en kombination af narratologi og kognitionsstudier fokuseres på fortællingers performativitet og dynamikken mellem samfundsprocesser og fortællinger om dem. Herfra udvikles to, gensidigt afhængige, analytiske greb. Det første er en skelnen mellem tre niveauer – tekst, historie, fortælling – hvor relationerne mellem niveauerne og de kontekster, de refererer til, bruges til en præcisering af fortællingsanalysens temporalitet og performativitet og til en operationalisering i en konkret analyse. Med det andet analytiske greb konkretiseres fortællingsstrukturen, dens grundlæggende komponenter og relationerne mellem dem. De to analytiske greb eksemplificeres i forbindelse med et studie af fortællingen om Texas i begyndelsen af 1900-tallet med særlig fokus på etniske fællesskaber og magtforhold. Adriansen, Inge: Erindringssteder i Danmark: Monumenter, mindesmærker og mødesteder, København: Museum Tusculanums Forlag, 2010. Anderson, Benedict: Imagined Communities, London: Verso, 1983. Bal, Mieke: Narratology. Introduction to the Theory of Narrative, Toronto: University of Toronto Press, 2009 (3. udg.). Barker, Eugene C. (red. ): Readings in Texas History for High Schools and Colleges, Dallas: The Southwest Press, 1929. Barker, Eugene C., Charles Shirley Potts og Charles W. Ramsdell: A School History of Texas, Chicago: Row, Peterson & Company, 1912. Barr, Alwyn: ’Early Organizing in the Search for Equality. African American Conventions in Late Nineteenth-Century Texas’, I Debra A. Reid (red. ): Seeking Inalienable Rights. Texans and Their Quests for Justice, College Station: Texas A&M University Press, 2009, 1-16. Bolton, Herbert E. og Eugene C. Barker (red. ): With the Makers of Texas: A Source Reader in Texas History, New York, Cincinnati og Chicago: American Book Company, 1904. Calvert, Robert A., Arnoldo de León og Gregg Cantrell: The History of Texas, Malden, MA: Wiley Blackwell, 2014 (5. udg.). Campbell, Randolph B.: Gone to Texas. A History of the Lone Star State, New York og Oxford: Oxford University Press, 2003. Cardoso, Lawrence A.: Mexican Emigration to the United States 1897-1931. Socio-Economic Patterns, Tucson: The University of Arizona Press, 1980. Carr, David: Time, Narrative, and History, Bloomington, Indianapolis: Indiana University Press, 1986. Carr, David: ’Narrative Explanation and Its Malcontents’, History and Theory 47 (1), 2008, 19-30. Carrigan, William D. og Clive Webb: Forgotten Dead. Mob Violence against Mexicans in the United States, 1848-1928, Oxford og New York: Oxford University Press, 2013. Delgado, Richard: ’The Law of the Noose: A History of Latino Lynching’, Harvard Civil Rights-Civil Liberties Law Review 44 (2), 2009, 297-312. Edelberg, Peter og Dorthe Gert Simonsen: ’Changing the Subject. Epistemologies of Scandinavian Source Criticism’, Scandinavian Journal of History 40 (2), 2015, 215-238. Foley, Neil: ‘Becoming Hispanic: Mexican Americans and the Faustian Pact with Whiteness’, I Foley Neil (red. ): Reflexiones 1997, New Directions in Mexican American Studies, Austin: Center for Mexican American Studies, Austin: University of Texas at Austin, 53-70. TSHA, Texas State Historical Association: Handbook of Texas Online, Census and Census Records, se: http://www.tshaonline.org/handbook/online/articles/ulc01, 12.6.2010 (1.6.2018). Hansen, Per H.: ’Organizational Culture and Organizational Change: The Transformation of Savings Banks in Denmark, 1965-1990’, Enterprise and Society 8 (4), 2007, 920-953. Hansen, Per H.: ’Business History: A Cultural and Narrative Approach’, Business History Review 86 (4), 2012, 693-717. Hansen, Per H. og Anne Magnussen: ’Business and Community in Hollywood Films, 1928 to 2015’, Business History Review, 92 (2), 2018. Hardin, Stephen L: Texian Iliad. A Military History of the Texas Revolution, Austin: University of Texas Press, 1994. Herman, David (red. ): Narrative Theory and the Cognitive Sciences, Stanford, California: CSLI Publications, 2003. Herman, David: ’Narrative Theory and the Sciences of Mind’, Literature Compass 105, 2013, 421-436. Herman, David: ’Cognitive Narratology’, I Peter Hühn, John Pier og Wolf Schmidt (red. ): Handbook of Narratology, Berlin: Walter de Gruyter, 2009, 30-43. Herman, David: Storytelling and the Sciences of Mind, Cambridge, MA: MIT Press, 2013. Horsman, Reginald: Race and Manifest Destiny. The Origins of American Racial Anglo-Saxonism, Cambridge, MA: Harvard University Press, 1981. Jensen, Bernard Eric: Historiebevidsthed/Fortidsbrug: Teori og empiri, Odense: Historia, 2017. Station: Texas A&M University, 1992. Larsen, Svend Erik: ’Strukturalisme’, I Johannes Fibiger, Gerd Lütken og Niels Mølgaard (red. ): Litteraturens Tilgange - Metodiske Angrebsvinkler, København: Gads Forlag, 2001, 109-150. Magnussen, Anne: ’New People, New Historical Narratives. When the Mexican-Americans Came to Gonzales, Texas, at the Turn of the Twentieth Century’, Diálogos Latinoamericanos 16, 2009, 16-34. Magnussen, Anne: ’Belonging on the Border. Mexican American Strategies at El Primer Congreso Nacionalista, Texas 1911’, I Anne Magnussen, Peter Seeberg, Kirstine Sinclair og Nils Arne Sørensen (red. ): Contested Places, Odense: University of Southern Denmark, 2013, 135-153. Magnussen, Anne: ’Comics as Historical Source Material: Race, Ethnicity and Power According to Texas History Movies’, Studies in Comics 7 (1), 2016, 99-125. Magnussen, Anne: ’Between Progress and the Frontier. Authority and Mob Violence in the Gonzales Inquirer at the Turn of the Twentieth Century’, I Laura Feldt og Christian Høgel (red. ): Reframing Authority – the Role of Media and Materiality, Sheffield: Equinox Publishing, Ltd., 2018, 161-183. Márquez, Benja: LULAC. The Evolution of a Mexican American Political Organization, Austin: University of Texas Press, 1993. McMichael, Kelly: ’”Memories Are Short but Monuments Lengthen Remembrances”: The United Daughters of the Confederacy and the Power of Civil War Memory’, I Gregg Cantrell og Elizabeth H. Turner (red. ): Lone Star Pasts. Memory and History in Texas, College Station: Texas A&M University Press, 2007, 95-118. Meister, Jan Christoph: ’Narratology’, I Peter Hühn, John Pier og Wolf Schmidt (red. ): Handbook of Narratology, Berlin: Walter de Gruyter, 2008, 329-350. 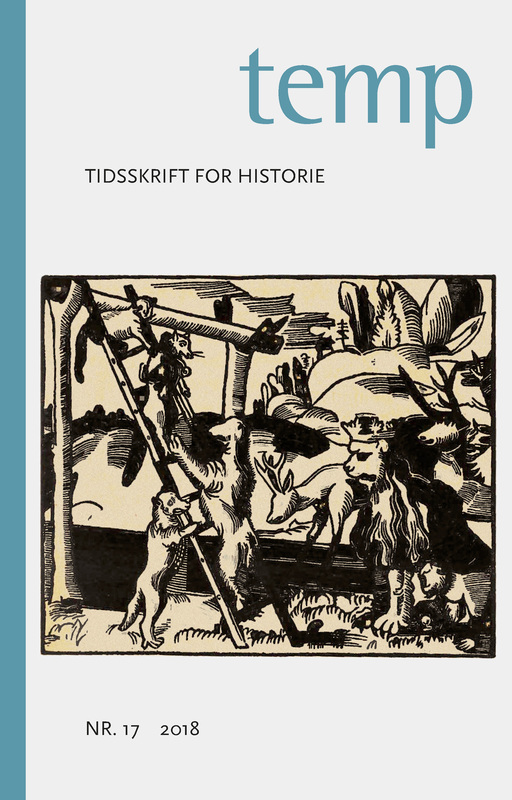 Mordhorst, Mads: ’Arla and Danish National Identity - Business History as Cultural History’, Business History 56 (1), 2014, 116-33. Mordhorst, Mads og Stefan Schwarzkopf: ’Theorizing Narrative in Business History’, Business History 59 (8), 1155-75. Nevers, Jeppe: Kildekritikkens Begrebshistorie: En Undersøgelse Af Historiefagets Metodelære, Odense: Syddansk Universitetsforlag, 2005. Nielsen, Niels Kayser: Historiens forvandlinger – historiebrug fra monumenter til oplevelsesøkonomi, Aarhus: Aarhus Universitetsforlag, 2010. Patton, Jack, og John Jr. Rosen􀏐ield: Texas History Movies, Dallas: PJM Publishers, 1928. Popkin, Jeremy D.: History, Historians, & Autobiography, Chicago og London: The University of Chicago Press, 2005. Steen, Ralph W.: History of Texas, Austin: The Steck Company, 1939. Sørensen, Anders Ravn: ’Banking on the Nation: How Four Danish Central Bank Governors Used and Reproduced the Logics of National Identity’, International Journal of Politics, Culture, and Society 28 (4), 2015, 325-347. Sørensen, Nils Arne: ’Om film og historie - nogle metodiske re􀏐lektioner’, Historie 2001: 322-350. Trouillot, Michel-Rolph: Silencing the Past. Power and the Production of History, Boston: Beacon Press, 1995. Turner, Frederick Jackson: ’The Significance of the Frontier in American History’, Chicago: The American Historical Association, 1893. US Census 1900, Texas: https://www.censusrecords.com/search?state=texas&censusyear=1900&_=1530358860705&page=16 (30.5.2018). Warring, Annette: Kollektiv erindring – et brugbart begreb?, I Bernard Eric Jensen, Carsten T. Nielsen og Torben Weinreich (red. ): Erindringens og glemslens politik, Roskilde: Roskilde Universitetsforlag, 1996, 205-233. Wharton, Clarence R.: The Republic of Texas. A Brief History of Texas from the First American Colonies in 1821 to Annexation in 1846, Houston, TX: C.C. Young Printing Company, 1922. Wharton, Clarence R.: History of Texas, Dallas: Turner Company, 1935.